The export of Bata shoes to Austria started already in the 1920s; to strengthen the export the Bata Shoe Company founded a sister company in the country, but a retail chain was never developed in Austria. 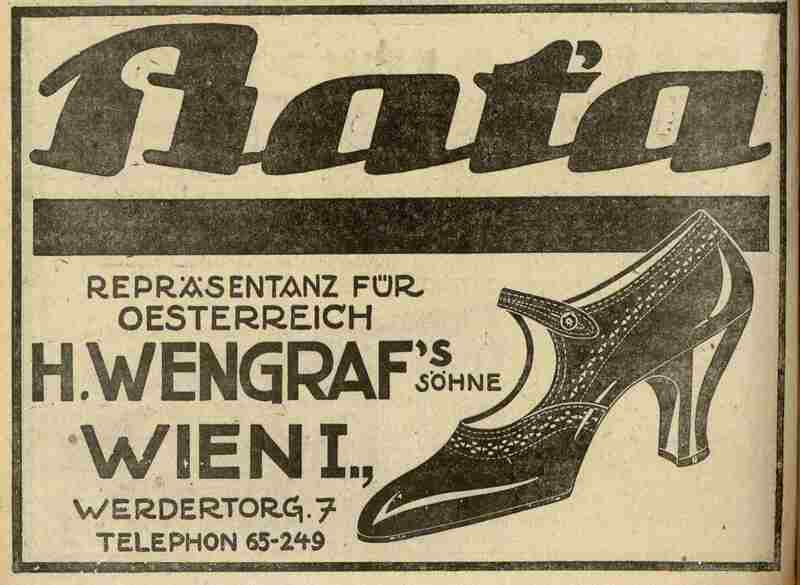 In the year 1930 a company Österreichische Bata-Schuhgesellschaft, Wien was founded for shoes trading; The Bata Shoe Company did not open its own stores in the country; the export of shoes reached 417, 000 pairs (in 1928), 72 000 pairs (in 1932) and 46 000 pairs (in 1938). In the year 1938 Bata’s Austrian Company decided to close down. 1962 – on the list of existing Bata companies the following enterprise: Osterreichische Bata Schuh G.m.b.H. (Austria) was registered for the Austrian territory.